The name Cone 6 Designs references pyrometric cones; a system used for hundreds of years to measure heat and time in kiln firings. Cone 6 Designs is owned and operated by artist Sherie Gage, BFA, University of Connecticut. It was originally started by Sherie, with the assistance of her mother Judy. Judy was an accomplished artist with many years of experience in functional pottery and design. She was the inspiration for Cone 6 Designs, and she passed away unexpectedly in August 2014. Sherie began working as an artist in 2008 focusing on ceramics, but discovered enameling in 2011, and now works almost completely in the art of enameling. She works with a technique that uses the firescale as a component of the design. 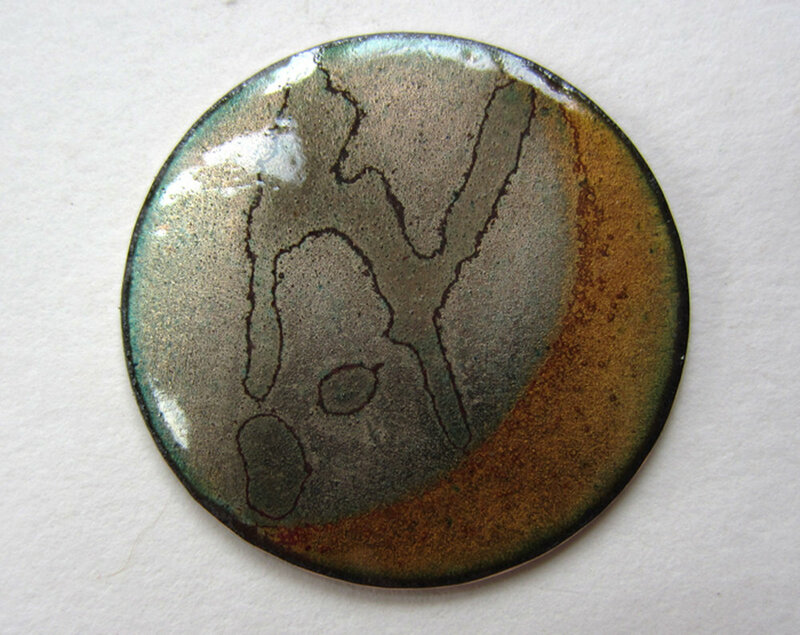 She makes jewelry, buttons, and is currently working more with enameling formed metal. Please visit my Etsy site to purchase work for sale.